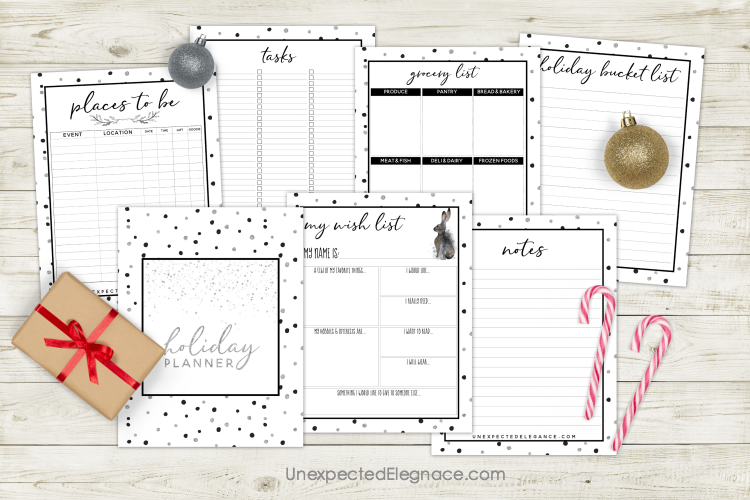 Get this free holiday planner to help you stay organized this year. It’s 22 pages, and includes everything from “Things to Do” to your shopping list! Why do we associate the holidays with “hustle and bustle”? Shouldn’t it be a time of “rest and peace”? When you’re extra busy, or money is tight, it can create feelings of stress and exhaustion. However, I’m here to tell you that no matter what’s going on in your life and with your bank account, there is a way to enjoy the season. The good news is that most of the time when one resource is tight, you tend to have plenty of the other. Unfortunately, time is a finite resource and we each only get 24 hours per day. We have to use it wisely! Spend your time on the things and with people that are most important to you. Prioritize what you really want to do and what brings you and your loved ones the most joy. Maybe that’s making 5 different batches of Christmas cookies together, or just buying a tin of cookies at the store and heading out to see the lights instead. Think about what you really want to do and what sounds like fun. What will help you create those wonderful memories that will last a lifetime? Make those things a priority and then work in the rest if and where it makes sense. 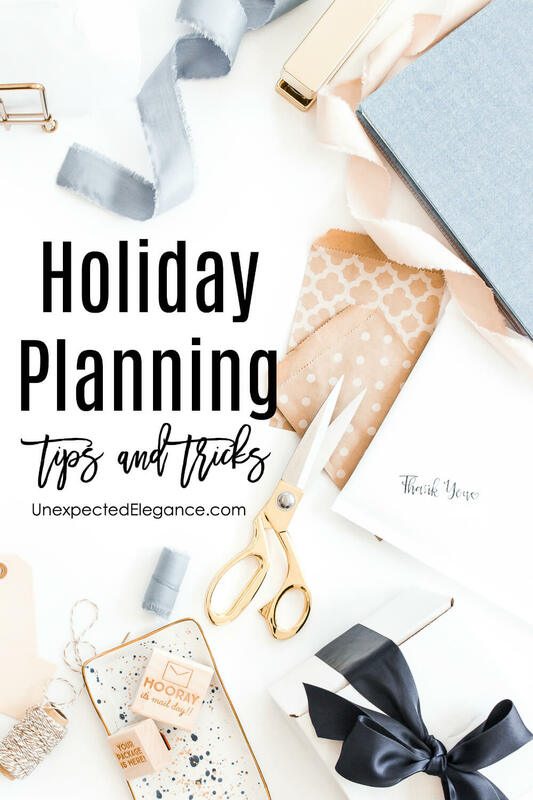 I have included a free holiday planner to help you get organized and steer clear of (MOST) of the chaos! The same holds true when it comes to finances. You don’t have to spend a lot of money on Christmas decorations and gifts. Instead, spend wisely on a few things that are important to you. Cut back on gifts for extended family and friends and stop feeling obligated to give everyone a gift. Make a batch of homemade cookies instead and give those as gifts. Get crafty if that’s your thing and come up with something cute but inexpensive. 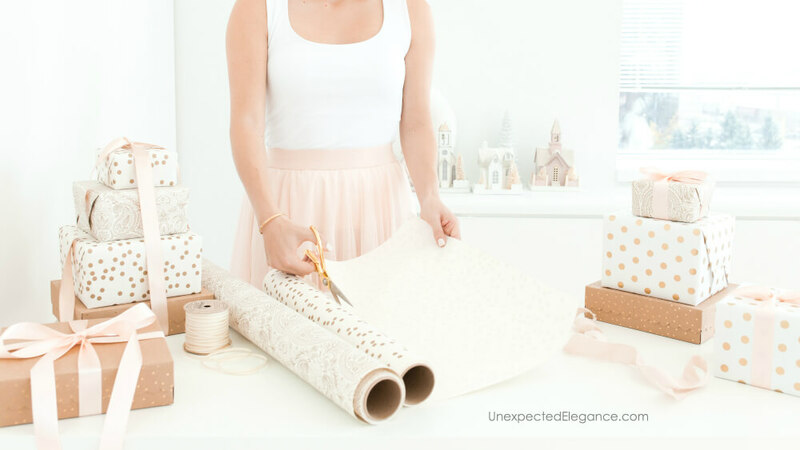 Cut back on fancy decorations or expensive holiday events that don’t mean all that much to you. I wrote about hospitality during the holidays here. There are a lot of free and inexpensive things to do during the holiday season. Go out and look at Christmas lights. Make some ornaments and other crafts at home with things you already own. Challenge yourself to make or repurpose gifts for each other. Get my FREE Holiday Planner below to help you stay on top of your time and resources this year!